The Alternative Press Expo (APE), the little indie sibling of Wondercon and Comic Con, makes it's way back to San Francisco's Concourse this Saturday and Sunday, Nov. 1-2. APE is one of the largest gatherings of alternative and indie comics in the country, with exhibitors ranging from self-published writers/artists of smaller comics to larger, upscale publishers like SLG Publishing, Top Shelf, Drawn and Quarterly, and more. 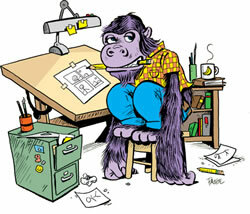 The selection of comics, graphic novels, art work, 'zines, and other knick-knacks is endless. Watch your wallets, attendees. Membership is available on-site only. One day membership is $10 (good for either day) and two day membership is $15. For those who present their Comic Con badges from this year get in for free -- see, that $70 (or $300+ you shelled out on eBay) you spent paid off. Huzzah! Comic retailers with legit business cards also get free membership. For more information on special guests, exhibitors, etc., check out the site. Starting Nov. 1, GRSF presents its latest group showing in the fourth installment of the Panelists show. This time 'round comic artists from across the country (of the indie and art gallery caliber) will show off original illustrations, paintings, and mixed media work. There'll also be some special surprises from a few contributers -- amongst them are Eisner and Ignatz Award nominees and winners. An opening reception will be held on the aforementioned date from 6:30-10 p.m. with appearances from several of the show's featured artists. 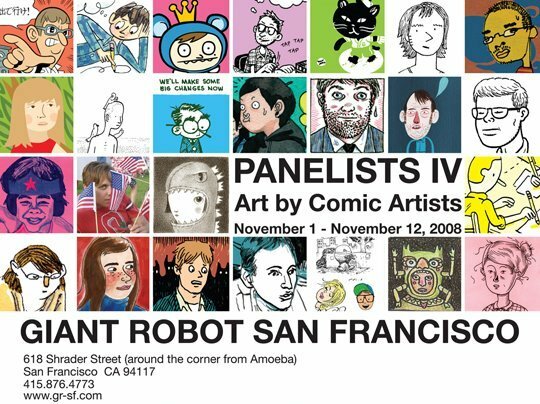 Panelists IV runs till Nov. 12. Quirky Kaiju, bossy bears, cake eating spiders, and dolls so ugly they're charming have taken over Double Punch's gallery space in "Things." 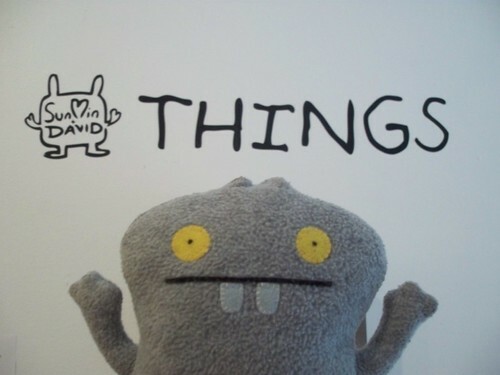 The show is a collection of, er, things that Uglydoll creators Sun Min Kim and David Horvath have created over the past 7 years since launching Uglydolls. 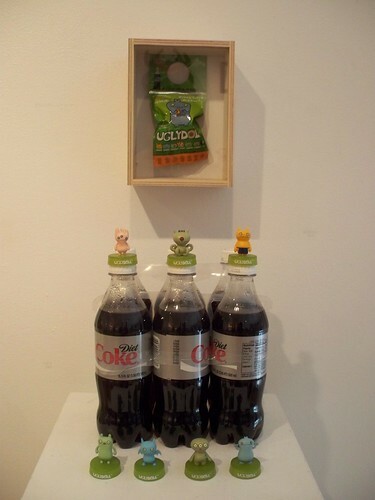 Other works in "Things" include Bossy Bear, LittleBony, Choco & Minty, etc. Many of the items on display are extremely rare and long sold out. Have you seen the LittleBony DVD or CD at your local Best Buy? Nope? Uh-huh. I thought not. The show ends Nov. 2. Admission is $2 for adults and $1 for kids (under 14), plus you get a little gift too (refund if you purchase something). 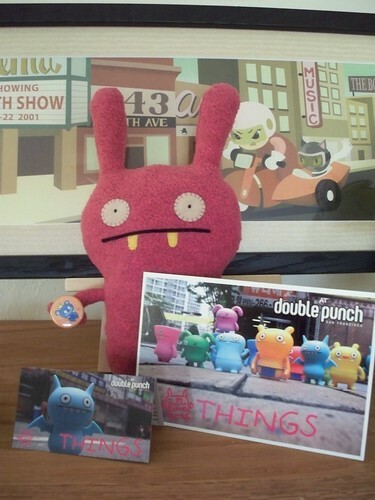 And sold exclusively at DP (and their webstore) for "Things" is the Lonely Otaku print for $50. This print is a limited run of 50. 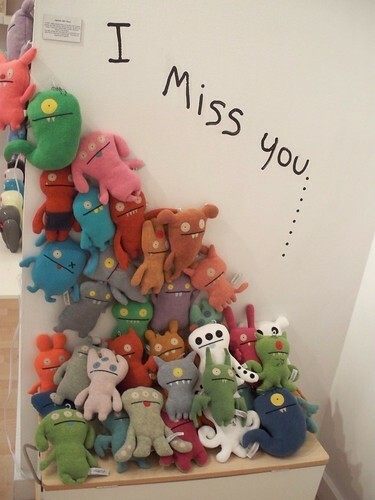 Uglydoll's actually got a really sweet love story. Read about it here. David and Sun Min Qee figures. Coca Cola bottle caps sold in Japan, circa 2005. 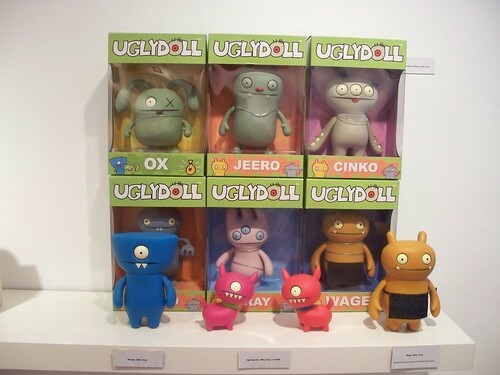 Uglydoll vinyl toys, circa 2004. 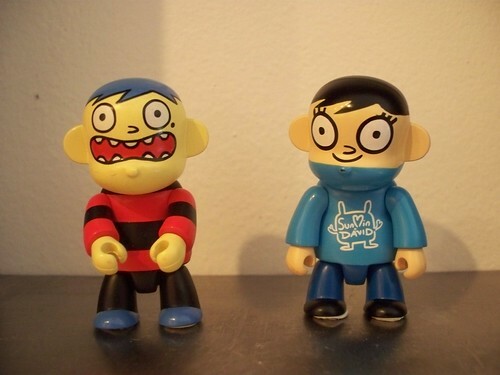 These were manufactured by the now defunct toy company Critterbox. 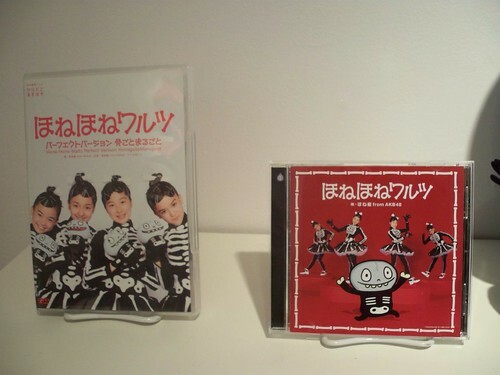 The aforementioned LittleBony DVD and CD. Little Bony is actually a kids show that aired in Japan. Sun Min's Spider-Boom pink Qee, Circus Punk, and Baby-Boom prototypes. 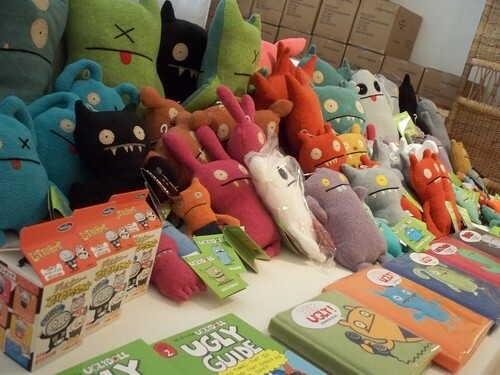 The merchandise table included a ton of Uglydoll plushes in mini and big forms, keychains, blind-boxed LittleBonys, Ugly Guide series, and Uglydoll notebooks. I picked up a mini Moxy. She's magenta. I had to. And she matched my outfit that day too. Anywho, to see more things be sure to go --> here. Till next time, keep it dorky, folks. 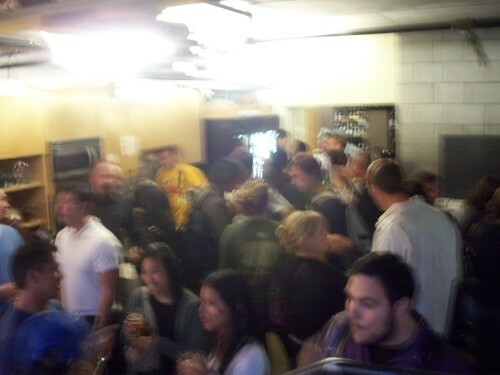 The little watering hole in the bay called City Beer was poppin' on Monday night, even though they're never open for business on that manic day. Gama-Go held it's Octoberfest shindig there to celebrate the release of their latest edition to the Deathbot family: Deathbot Lederhosen. 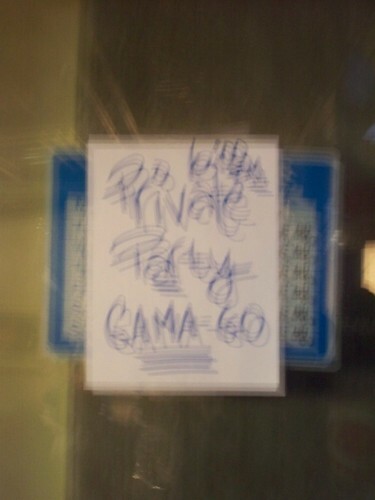 It says, "6:00 pm Private Party Gama-Go." 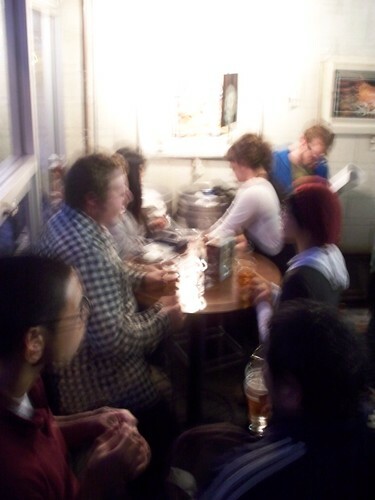 City Beer's 49 persons occupancy space was well exceeded as Gama fans and staff drank copious amounts of free beer (until it ran out) and chatted about all things Deathbot and all things not . . . Deathbot. I don't recall what kind of beer was served since it was too loud to hear anything. But it was tasty. Trust me. This is coming from a girl who likes fruity cocktails. 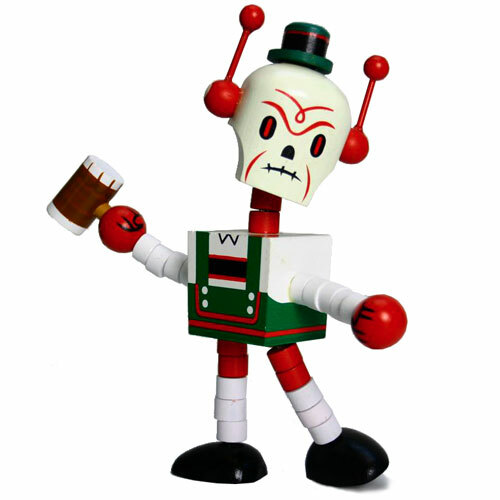 Attendees were also able to purchase the beer stein clad bot for a sweet $20 -- not $40, like I said in the last blog. Want one? No worries! Prost with this guy for $22 at Gama-Go's site or NingYoushi. If you're in the bay, you can stop by NingYoushi's retail store Double Punch. City Beer is also a place worth visiting even if they don't have Deathbots all the time. Its neither a dive or fancy bar: its a specialty beer store where customers can sample beers and mix and match their own 6 packs consisting of domestic or international selections. They've got over 300 types of beers. Yes, 300. For more on City Beer, check out their spot on the interweb. It was a good night of chatter and drinking. And wobbling. And getting headachey. Cheers to you all. Watch out Sarah Palin: Terry Tate is back! Bust out the Lederhosen and get your drank on! 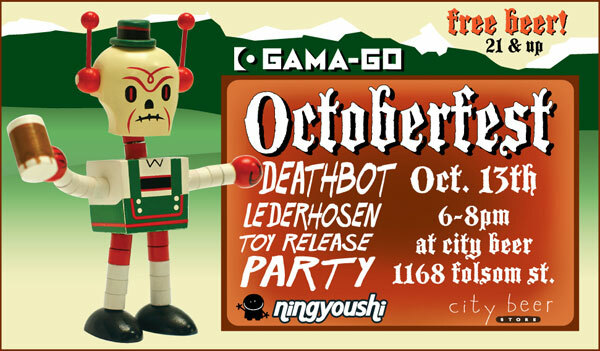 Join Gama-Go and Ningyoushi on Monday, Oct. 13 in an Octoberfest-like celebration in honor of the release of the wooden Deathbot Lederhosen at CityBeer in San Francisco. Enjoy some delicious German beer all on Gama-Go's tab from 6-8 p.m. That's right, folks. FREE beer! And with that mentioned, apologies go out to those under the age of 21 -- this is a big kids par-tay. There'll also be a limited supply of the Deathbot Lederhosen for $40 on hand. If you can't make it to the beer fest to pick up the murderous Barvarian bot, no worries. He shall be up for grabs for everyone the following day on the Gama-Go site. 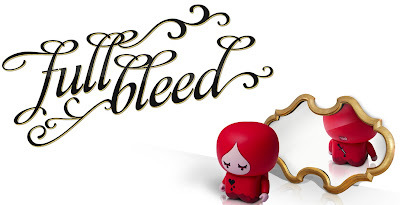 Now you can give Full Bleed and a Megabyte a hug! These are just two of the cool characters from this past summer's Veer's Amazing Summer Activity book for Creatives & their Pals. 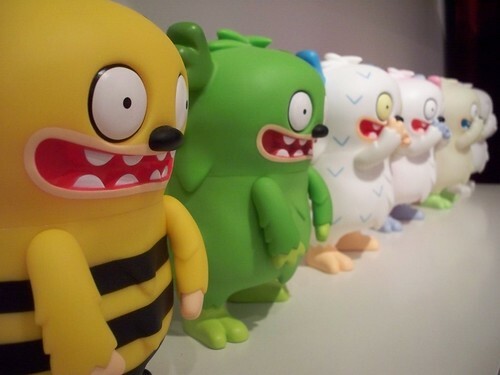 There cool little world is filled with desktop wallpapers (like those above), games, and finally, cool vinyl toys! Hopefully the rest of the gang gets immortalized soon...can you name them all? If you're like me, you love and use the font Helvetica to the point where you want that to be the name of your first daughter. Now to show the simple complexity of the legendary font's design, American Apparel has shirts that take it back to the basics: the letters themselves. 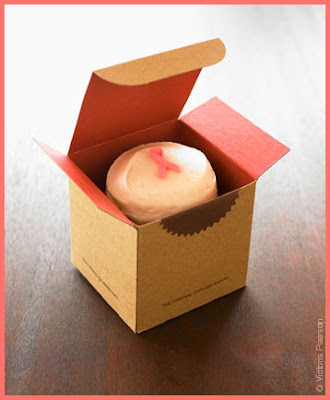 Today (until October 7), Sprinkles will be offering their strawberry cupcakes everyday with its proceeds going to the EIF's Women's Cancer Research Fund. Last year's campaign raised $20,000! okay, so that's gonna be an extra minute (ha, or more like 60+) on the elliptical, but hey, can't say no when a cupcake can count as your good-deed-of-the-day. Put your sneeks down and do some different kinda running. Run up that credit card and do your part by shopping in October aka breast awareness month! Help fight against women's cancers by purchasing the limited edition 2008 Key to the Cure Tee at saks.com (finally) on sale today! This year's tee, designed by Karl Lagerfeld, is only $40 with over $35 going toward Entertainment Industry Foundation's Women's Cancer Research Fund. Fashionistas: Saks Fifth Avenue's charity shopping weekend will take place October 16 to 19 at all of its stores nationwide and through saks.com, during which 2% of sales will benefit local organizations through EIF's Women's Cancer Research Fund. 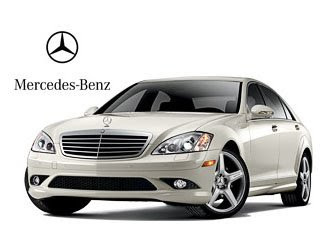 Ballers: Buy one of the 1,000 limited edition S550 Sedan Benzo! Holla.